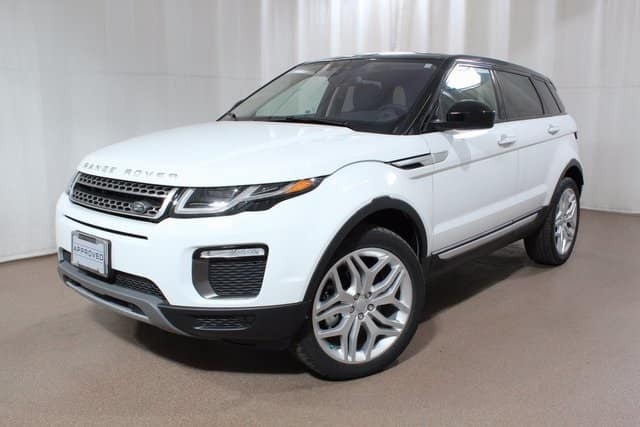 Land Rover Colorado Springs has a beautiful Approved Certified Pre-owned 2016 Range Rover Evoque HSE for sale. This gently used luxury SUV is in wonderful condition with only 465 miles on the odometer. Over 7,000 miles below market average! Powered by a 2.0L I4 engine, this fuel-efficient family SUV will give you a great fuel economy. Expect and estimated 21 MPG city and an astounding 30 MPG on the highway. Enjoy the premium luxury options on this beautiful four-wheel drive Evoque including the Cold Climate Convenience Package (includes heated steering wheel, windshield and washer jets). Also, enjoy an HDD navigation system, soft Oxford leather heated seats, 20” alloy wheels with sparkle finish, Driver Assistance Plus Package.. and many, many more. This quality car has earned our exclusive Approved Certified Pre-Owned designation. That provide an amazing 5-yr/100,000-mile limited warranty, 24/7 roadside assistance, Land Rover Concierge, and a vehicle history report. Stop in to Land Rover Colorado Springs to learn more about this exciting luxury SUV. Take a test drive of this low-mileage 2016 Range Rover Evoque HSE today. Try out the many amazing features and we know you will be ready to drive it home today.